Our channel checks indicate that FLEX has hit a production ceiling. Philip Morris is likely to introduce a third manufacturer. The risk of further production share being shifted away from Venture Corp rises as Philip Morris seeks to improve economics on the IQOS device. Production outlook of other clients may slow down in 2019, pointing to earnings downside risk. Key risk will be better-than-expected demand for IQOS 3. Maintain SELL with an unchanged target price of S$12.90. Our channel checks into the IQOS supply chain indicate that the second manufacturer, FLEX, has reached the supplier concentration limit for Philip Morris (PM). We were not able to ascertain as to whether Venture Corporation (VMS) has similarly reached such a production ceiling. Third manufacturer will likely mostly produce IQOS 2.4+. From what little we could gather, Philip Morris is likely to engage a third manufacturer primarily for its eventual US launch. As reported by CNBC, a US launch will entail the sale of only the older IQOS models. Hence, we believe that this third manufacturer will largely manufacture the IQOS 2.4+. It may be possible for some small scale production of the next-generation products. Nikkei Malaysia Manufacturing PMI deterioration worsened in November. In a 3 Dec 18 release, Nikkei’s Malaysia Manufacturing PMI was reported at 48.2 for Nov 18, a decline from 49.2 in Oct 18. The latest data points to a sharp deterioration in the manufacturing sector since May, and extended the current period of decline to two months. 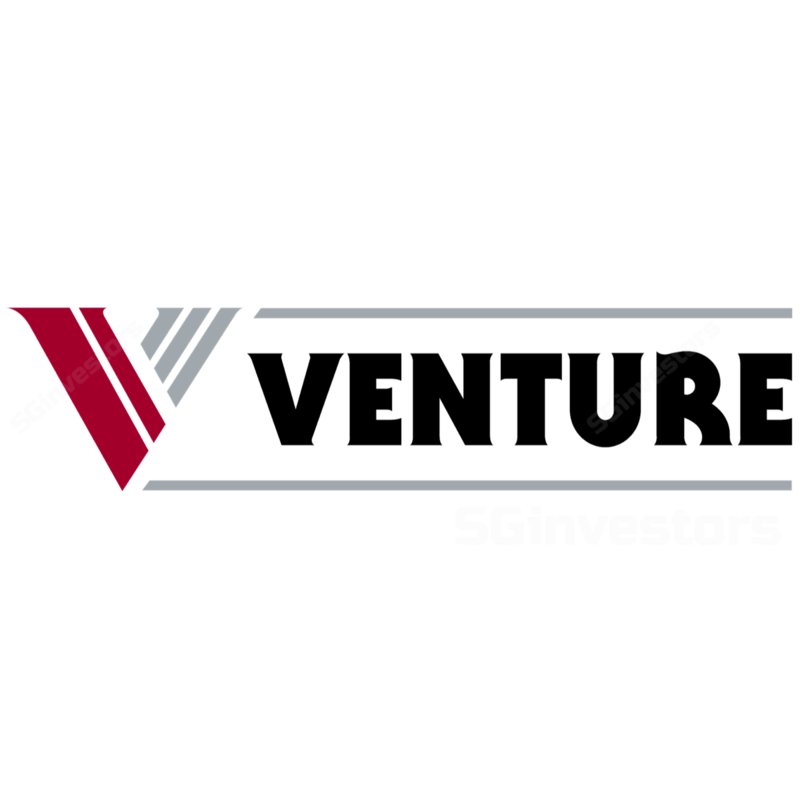 Venture Corp has significant capacity based in Malaysia. Risk of further production shift rising. A third manufacturer entering the fray will likely try to do so at a price competitive to the current incumbents. Between the current two, FLEX remains more cost effective than Venture Corp.
Logically, Philip Morris will want to shift some of its higher cost production to this new manufacturer to improve economics on its IQOS devices. For Venture Corp, their production is for the IQOS 2.4+ and IQOS 3. For FLEX, it is the IQOS 2.4+ and IQOS 3 Multi. FLEX may be involved in the IQOS 3 production as well, though there has been limited evidence. As it stands, Venture Corp is at greater risk of having production share taken away (again), given its higher cost base. Back to the future, part 2. To be fair, the current situation for Venture Corp points to the 12-month forecast volume for IQOS being better relative to 2018’s. This brings us back to the same situation as Dec 17, when the outlook for the next year was for higher. This outlook changed drastically owing to weaker-than-expected sales in Japan. Greater certainty for the 2019 outlook is only possible next year. Outcomes point to either production cut, or margin cut on the IQOS. There are two outcomes for Venture Corp to this development. The first scenario sees them lose some production to the third player. The second scenario sees Venture Corp sacrifice margins on the IQOS and lose less volume. Either way, profitability in 2019 may be impacted, given IQOS’ contribution to Venture Corp’ earnings. Increasing risk of orders slowing down in 2019. Key risk #1: Better-than-expected demand for the IQOS 3. If demand for IQOS 3 is stronger than expected, this will likely result in a production ramp-up across all manufacturers. At present, it is difficult to gauge sales performance of the new IQOS models, though we note a greater incidence of IQOS 3 on social media. Analysis of various Japanese sites point to familiarity with the IQOS 3 design as the main reason. Philip Morris’ 4Q18 results, expected in early-Feb 19, will give a better indication. Key risk #2: Dividend payout. With a net cash balance of S$697.9m, Venture Corp can easily raise its final dividend payout for 4Q18 to counter negative share price sentiment, or any weaker-than-expected earnings. No changes to our earnings forecast. We will update again in 1Q19 when greater clarity on the 2019 production outlook is available. This may see upward revisions to our earnings forecast, if firm orders are better than expected. Maintain SELL, with an unchanged target price of S$12.90. Our target price is pegged to 11x 2019F PE, based on a P/B-ROE regression of its tech manufacturing peers. This is close to -1SD of Venture’s long-term mean. We remain concerned on the continued normalisation of its IQOS growth story, which was central to its ground-breaking profit growth over 2015-17.